Cape Verde, whose official name is the Republic of Cape Verde (in Portuguese: Republic of Cape Verde), is a sovereign insular state of Africa, located in the Atlantic Ocean, more specifically in the Macaronesian volcanic archipelago of Cape Verde, off the coast Senegalese Its form of government is the semi-presidential republic and its territory is organized in 22 municipalities. Its capital and most populated city is Praia. The name of the archipelago comes from the peninsula of Cape Verde, the westernmost end of the continent of Africa, near which is the city of Dakar (Senegal). Its official language is Portuguese and the country is a member of the Community of Portuguese Language Countries. The islands were uninhabited until they were discovered in the fifteenth century by the Portuguese, who colonized them to turn them into a slave trade center. Most of the current inhabitants of Cape Verde descend from both groups: colonizers and slaves. In the fifteenth century, when the Portuguese colonized the archipelago, the islands did justice to their name: they were covered by dense tropical vegetation, which contrasted with their black volcanic rocks and the blue sea. There is no evidence that they were populated before the arrival of the settlers, but it is considered probable that the Arabs had visited the island of Sal in previous centuries to provide themselves with that substance. In 1462, the first Portuguese settlers landed in what is now Santiago and founded the oldest European city in the tropics: Ribeira Grande (now Cidade Velha). The Portuguese introduced the cultivation of sugarcane, but the dry climate was not favorable. So they were mainly dedicated to the slave trade, mainly from the west coast of Africa. The rise of slavery revolutionized Cape Verde’s economy in just a few years. While in 1506 it was one of the Portuguese possessions in Africa that provided the least income to the Crown, by 1510 it had become the second most rented, only surpassed by the Gold Mine. For the Portuguese, the islands, located between Africa, America and Europe, had great strategic interest. From 1517, the official Portuguese slave transport route from Africa to America was established, stopping at Cape Verde (slavery was abolished in 1876). The repeated assault of English, Dutch and French pirates forced the Portuguese to move settler farmers from Alentejo (southeast Portugal, “granary” of that country) to the archipelago. The contraction of the agricultural activity -famous between the XVII and XIX centuries for its cotton- caused the massive emigration of Cape Verdeans: the majority towards Guinea-Bissau (former Portuguese colony closely linked to the archipelago), and later towards Angola, Mozambique, Senegal, Brazil and, mainly, the United States. In the nineteenth century, the prosperity of the islands was slowly declining, because they had ceased the two income that had: cotton and slaves, by the global ban on the slave trade. Between 1941 and 1948, a prolonged famine caused the death of a large number of people, some 50,000 (almost a third of the population), in the face of the “total indifference” of the Portuguese government: No humanitarian aid was sent. As of 1975, the forested area of ​​Cape Verde increased from 3,000 to 45,000 hectares: the government foresaw another 75,000 in ten years, which would supply the population with wood. In the rainy seasons, men and women left homes and offices to plant trees for a week. Agrarian reform was implemented, with priority in the production of food for consumption of the population (only 5% was produced), instead of favoring the export crops characteristic of the colonial period. Despite these actions, agricultural production declined due to major droughts and the government turned to promoting fishing. Cape Verde supported Angola in the second liberation war (see Angola). It allowed the airlift of Cuban aircraft in the archipelago, helping to defeat the invasion of Angolan territory by troops from Zaire and South Africa and adopted a policy of non-alignment, guaranteeing that foreign military bases would not be installed. In 1981, when the PAIGC was discussing a new Constitution for Guinea and Cape Verde, President Luiz Cabral of Guinea-Bissau was deposed. João Bernardino Vieira took office and was hostile to the integration with Cape Verde. That year, PAIGC held an emergency congress in Cape Verde due to political changes in Guinea-Bissau. After ratifying the principles of Cabral, he changed his name to the African Party for the Independence of Cape Verde (PAICV), separating organically from the party of Guinea. The relations of both governments were tense, until the mediation, in 1982, of Angola and Mozambique, succeeded in getting the Mozambican president Samora Machel to meet Pereira in Maputo (re-elected in 1981) and Vieira. At the Conference of former Portuguese colonies in Africa (1982), held in Cape Verde (city of Praia), Vieira participated with his colleagues from Angola, Mozambique, Cape Verde and São Tomé. Diplomatic relations were normalized, although the party did not reunify and union plans were abandoned. In 1951, the status of islands changed to that of the overseas province. The struggle for liberation strengthened the ties between Guinea-Bissau and Cape Verde. In 1956, the African Party for the Independence of Guinea and Cape Verde (PAIGC) was created, with militants from both sides. Amílcar Cabral, founder and ideologist, conceived the struggle and the joint development, from complementary economies. In 1961 the guerrilla began on the African continent, where hundreds of Cape Verdeans fought. In 1974 the colonial regime fell after the Revolution of the Claveles in Portugal. After a transitional government, in 1975 independence was proclaimed: the same party – the PAIGC – happened to govern in two countries. Aristides Pereira was president of the Republic of Cape Verde, and commander Pedro Pires his prime minister. The PAIGC took the first steps towards a federation between Cape Verde and Guinea-Bissau: the national assemblies of both countries constituted a Council of the Union. In 1984, the drought reduced crops by 25% compared to five years earlier, the deficit in the trade balance was 70 million dollars and the external debt stood at 98 million dollars. The food distribution system and efficient state management prevented the country from falling into famine. Poor in natural resources, with only 10% of the arable land, Cabo Verde depends a lot on the importation of food, especially in the form of humanitarian aid. The shortage forced the country to depend on foreign aid, complicating the projects of the “First Development Plan”. In 1986, the “Second Development Plan” gave priority to the private sector of the economy (especially the informal sector) and combating desertification. The goal was to recover -until 1990- more than five thousand hectares of land and put into operation a unique system of administration and distribution of the country’s water reserves. In a first stage, more than 15 thousand rainwater containment dykes were built and 23,101 hectares were forested. Despite the drought, increased agricultural productivity, which almost entirely supplied meat and vegetables to the population, without resorting to imports. In 1991, António Mascarenhas Monteiro (who presided over the Supreme Court of Justice for a decade) was elected president in the first free and multi-party elections in the country. The transition to a market economy began, privatizing insurance, fishing and banking companies, according to the demands of international organizations. Foreign aid represented 46% of GDP, and an additional 15% came from the money remittances of the 700,000 Cape Verdeans living abroad. The government of the MPD (centrist) faced unemployment of 25% and announced the restructuring of the State. In 1993, the reduction of 12,000 public officials began in half, while gradually freeing prices. The 1994 budget, despite cutting public spending, increased public investment (in transport, telecommunications and rural development) from $ 80 million in 1993 to $ 138 million in 1994. In 1995, Prime Minister Carlos Veiga made changes to favor the transition to a market economy and merged the Ministries of Finance, Economic Coordination and Tourism, Industry and Trade into one: Ministry of Economic Coordination. In 1997, the African Development Bank loaned $ 4.9 million to rebuild roads. Cape Verde also received economic support from China and created an association with Angola to invest in health and social welfare. In 1998 and 1999, reports of police brutality were repeated: prisoners exceeded the capacity of prisons, lacking reasonable minimum facilities. Self-censorship of the media was common. The presidential elections of 2001 had to be repeated due to accusations of fraud and the low final margin (50.05% against 49.95%). The Supreme Court decided the final result, after the appeals filed for irregularities in the voting: Pires, of the PAICV, was declared the winner by 17 votes, succeeding Monteiro and thus becoming the third President of Cape Verde. Jose Maria Pereira Neves was elected prime minister ..
Pires intensified efforts to decentralize and privatize the public sector. In 2002, it signed a cooperation agreement with France for 610 million euros, which would help that purpose. Once the privatizations were carried out, the cost of basic services increased and access to drinking water outside the capital was complicated. The government wanted to computerize all the schools in the country in five years, putting at least one computer and Pereira Neves announced the implementation of the “Operation Hope” development plan. “My investiture exists to guarantee the future of the children of Cape Verde,” he emphasized. In September 2004, the finance minister, João Pinto Serra, promised in an official letter to the International Monetary Fund (IMF) that he would speed up structural reforms in the administration of his government for the remainder of the year, in order to speed up privatizations as well. The reforms would be directed towards the energy, water, telecommunications, transport, fishing and navigation sectors. In May 2005, Prime Minister Neves said the country could try to join NATO. A month earlier, NATO had chosen Cape Verde to test, for the first time in Africa, its Reaction Force. In June, the opposition Movement for Democracy called to discuss “urgently” the special relationship between Cape Verde and the European Union. In the parliamentary elections of January 2006, PAICV won again and Pires was elected president. The archipelago is part of the Macaronesia region. It consists of ten large islands and five minor ones. The Windward Islands include Santo Antão, São Vicente, Santa Luzia (uninhabited), São Nicolau, Sal and Boavista. The ones from Sotavento include Maio, Santiago, Fogo and Brava. On the island of Sal is the Amilcar Cabral airport, the largest international airport in the country. Other important islands are Santiago and São Vicente, where the capital Praia and Mindelo are located, respectively. Among the islets that make up Cape Verde include Islote Raso (7 km²), Islote Branco (3 km²), Islote Grande (2 km²), Islote Cima (1.15 km²) and Islote Carneiro (0.22 km²). The islands are of volcanic origin. In the Fogo there is an active volcano (last eruption in 2014). For the most part, they are rugged mountains covered with volcanic ash, so there is little vegetation. The climate is dry and hot, with an average temperature of 20/25 ° C. In the months of January and February, the archipelago suffers the influence of storms coming from the Sahara. The Cape Verdean culture is a mixture of European and African elements. It is known for its musical diversity, which reflects the different origins of the population. The country has its own musical genres such as morna. Cesária Évora is the Cape Verdean singer best known internationally. Suzanna Lubrano is the best-known singer Zouk. In the country, the term Crioulo is used to refer to both the residents, the typical culture of the country and the language. Cape Verde also has a very rich literature. The founders of Claridade magazine -Baltasar Lopes da Silva, Manuel Lopes and Jorge Barbosa- stand out, as well as other authors related to that publication, such as António Aurélio Gonçalves, Jaime Figueiredo, Henrique Teixeira de Sousa and Joao Lopes. In recent years, Germano Almeida has developed a work translated into several languages, characterized by its subtle but biting humor. The country and, specifically, the Island of São Vicente, was portrayed in the documentary film Tchindas, nominated for the Oscars of the African cinema 2016. Official currency Cape Verdean shield, semi-official currency euro. The shield became the Cape Verde currency in 1914. It replaced the real at a rate of 1000 reais = 1 shield. Until 1930 Cape Verde used coins from Portugal. However, the tickets issued by the National Overseas Bank were only for Cape Verde since 1865. 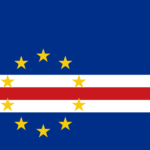 Until the independence of the country in 1975, the Cape Verdean shield was similar to the Portuguese shield. In mid-1998, an agreement with Portugal established a fixed rate of 1 Portuguese escudo = 0.55 Cape Verdean escudo. Since the replacement of the Portuguese shield by the euro, the Cape Verdean shield has a rate of 1 euro = 110,265 escudos. The euro is widely accepted in Cape Verde. In November 2004, during a meeting in Portugal, the Prime Minister of Cape Verde formally considered accepting the euro as one of the country’s currencies.